Hearth at the Pickering House, Salem, Mass. 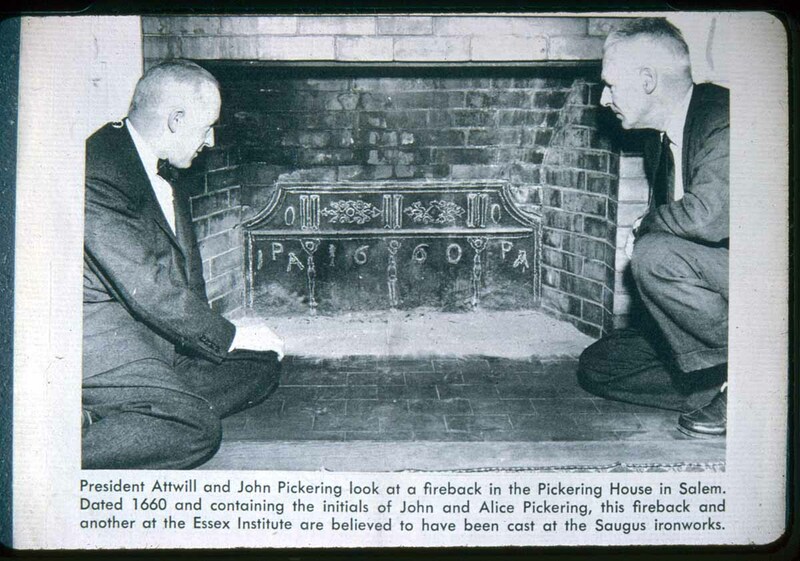 President Attwill and John Pickering look at a fireback in the Pickering House in Salem. Dated 1660 and containing the initials of John and Alice Pickering, this fireback and another at the Essex Institute are believed to have been cast at the Saugus ironwors. “Hearth at the Pickering House, Salem, Mass.,” NOBLE Digital Heritage, accessed April 25, 2019, https://digitalheritage.noblenet.org/noble/items/show/5727.